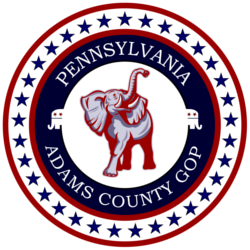 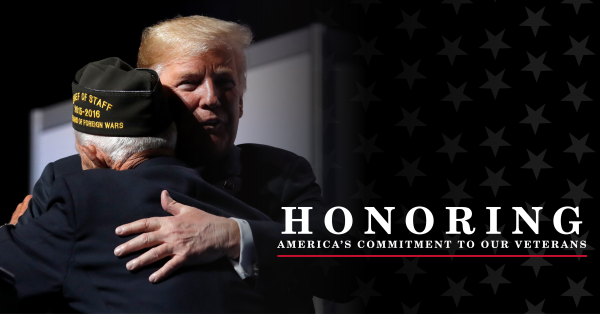 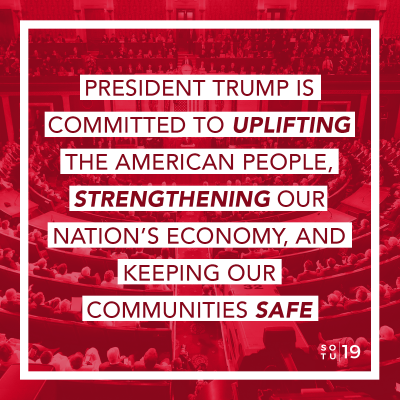 With an agenda benefiting Americans throughout Pennsylvania, President Trump has launched our nation to new heights, bringing jobs back to our country like never seen before while also supporting hardworking citizens at home and members of our armed forces serving overseas. 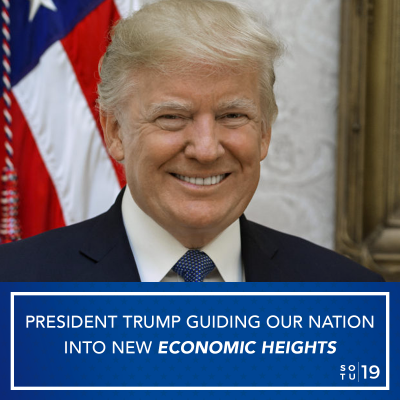 His plan for our nation has made our country stronger with an enhanced military, fortified Supreme Court, and a new passion for supporting small businesses and working class families. 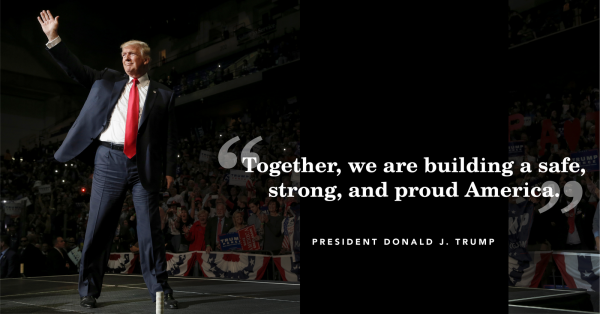 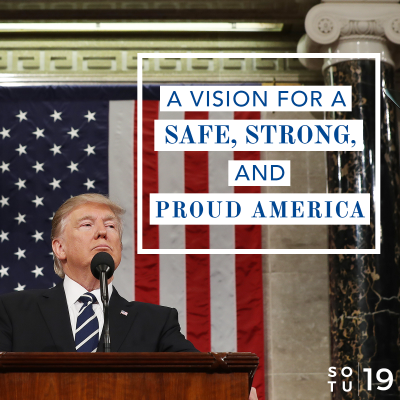 America is better off thanks to President Trump, and tonight’s address relayed a thorough, comprehensive, and impressive blueprint to continue this success. 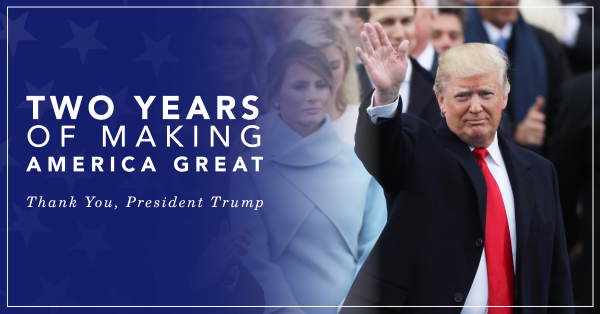 Feel free to use the images and messages below on your social media pages. 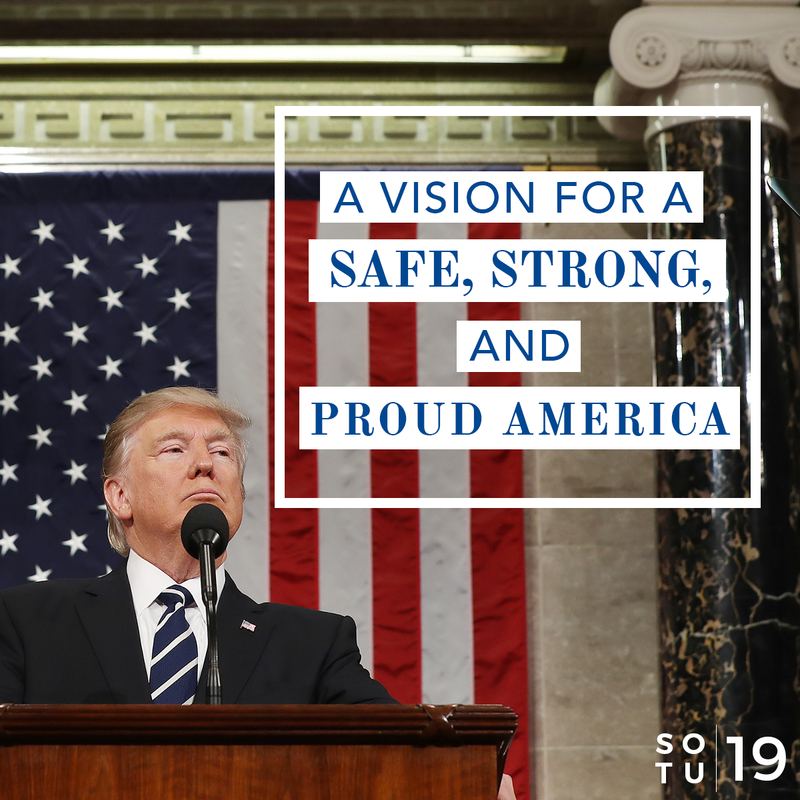 Tonight’s #SOTU outlined a vision for a safe, strong, and proud America!